For the eighth time, I traveled to Peru, as I have always been very well treated and enjoyed good moments throughout the social spectrum. The big difference from this episode in relation to the other seven is perhaps the fact that I realized how graphic computing might be relevant to apparently disconnected areas of their initial claims, such as tourism. In the face of this I will share with you my reflections and history of how things unfolded in that beautiful Andean country. Stages of facial reconstruction of the Lady of K'anamarka. This woman was a victim of a trepanation surgery on her modified skull (artificially deformed skull, "ET skull"). Something similar had happened in previous episodes, it is enough to mention the facial reconstruction of Gufán (the Brazilian of 2000 years) that took in one day the number of visitors of a month to the Museum Paranaense. The presentation of the bust of St. Valentine in St. Valentine of the South city (Brazil), which crowded a 1200-seat church in a town of just over 2000 inhabitants. In addition to these two facts, I can not fail to mention the reconstruction of the men of Lagoa Santa, a feat propagated in the national and international media, which, of course, drew attention to the archaeological site of the city, as well as considerably increased the number of visitors to the Museum of the Lapinha. Returning to Peru, the first project presented there was the face of the Lady of K'anamarka, whose remains were found by the archaeologist Marco del Pezo in 2004. I was invited to participate in this project by physical anthropologists Dr. Oliver Medina and Dr. Elva Torres. 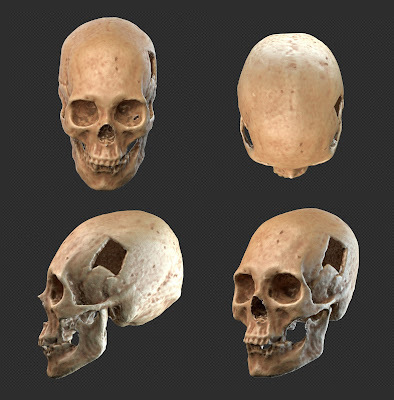 The work was tranquil, since Dr. Medina is a specialist in photogrammetry and passed me the richly digitized skull in 3D. From there I built the face and designed its presentation with the help of the Inca Garcilaso de la Vega University, of which I am part of the team and with whom I developed a series of projects in that country. Some interesting events guided the presentation of the face. Initially the revelation of the face was scheduled to be made in a room with 120 seats. On the first day of the seminar where we were introduced, the audience showed up in weight and many people had to watch the event standing up. This forced the organizers to change rooms, the other day the face presentation happened in a space for 400 seats! The press appeared in weight and the news of the reconstruction became headline in the main newspapers and TVs of Peru. The other day I was invited to visit the archaeological site of K'anamarka, where they discovered the skull. A four-hour trip from Cusco, where we met. Beyond the distance we would climb a little higher, towards 4000 meters of altitude! I feared for my breath and my stomach, but fortunately for all indications I have excellent resistance to altitude, because I felt nothing different, except for the air that was not as abundant as in the lower parts. Arriving at the site I was treated almost like a head of state, at least it was what I felt. After a four-hour drive and in that place of clean, wonderful visual air, I could see that a delegation was already waiting for us at the entrance to the old city. 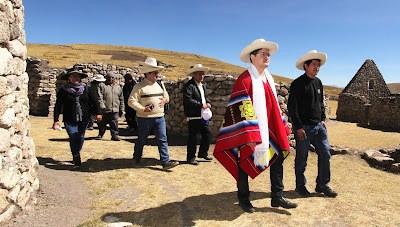 As I descended, I was approached by reporters, guides and representatives of the Municipality of Espinar, who gave me some gifts, among them showy local clothes, which softened the cold and warmed the heart with so much human warmth. Each step we took was accompanied by a series of people, all properly filmed and photographed. 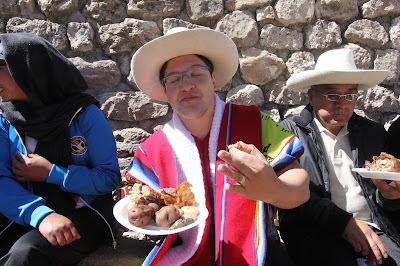 After visiting all points of the site, we were treated to a delicious lunch, with delicacies from the local cuisine. The soul was fed, but the body was not yet, we did not waste time and devoured that delicacy, closing the bill with a local drink that aided in digestion. The other day we had the great joy of seeing the enormous repercussion of the work in newsstands and national TVs. More than that, TV Latina, one of the main ones of Peru made a special matter from the facial reconstruction. The material they composed (thanks immensely to the reporter Jesus Noriega) addressed our work and gave a tremendous emphasis to tourism of the region, while showing the natural beauties and qualities of its warm people. In total there were 17 minutes of video transmitted to the whole country! 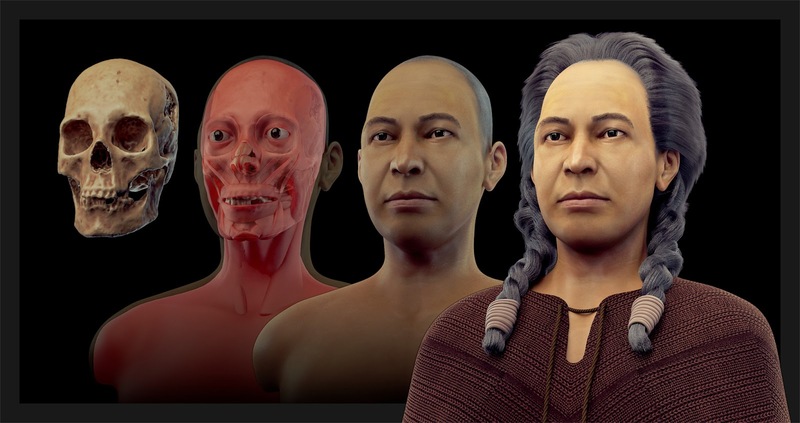 The facial reconstruction of the Lord of Sipán was a work begun in 2016, also in partnership with the Inca Garcilaso de la Vega University, the EBRAFOL and the Royal Tombs of Sipán Museum. That year we unveiled the face digitally and the event became news worldwide, being propagated in 27 languages! The closing of this project took place in great style, with the printing of the bust by the CTI Renato Archer and the painting of the piece by the skilled hands of the artist Mari Bueno, award-winning Brazilian painter, whose works were the theme of exhibitions in Brazil and in other countries. Unlike the 2016 event that took place in Lima, this was held in Lambayeque, more precisely at the archaeological site where they found the body of the Lord of Sipan. 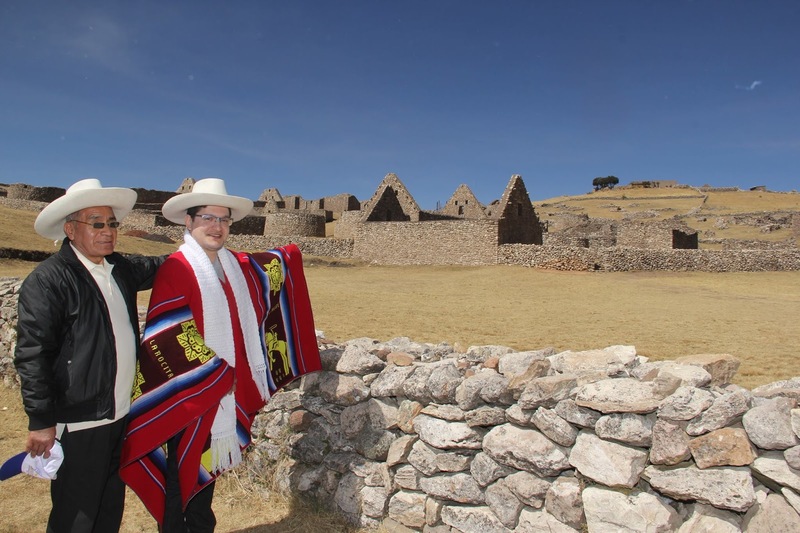 In addition to the presence of Dr. Walter Alva, the archaeologist who discovered it, the Peruvian Minister of Culture, Salvador del Solar, a former actor very dear to the population, whose management has high approval ratings, Cultural development. I was very happy because my presence and that of Dr. Eduardo Ugaz Burga, dean of Garcilaso University was informed during the ceremony and things did not stop there. 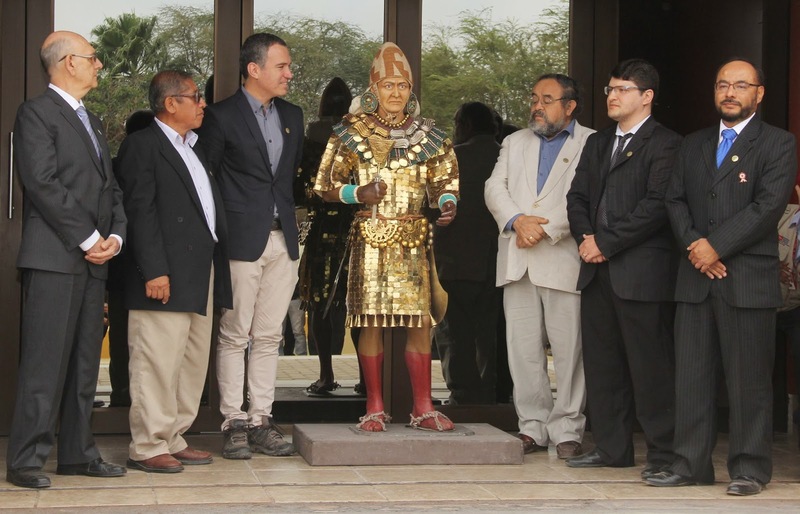 Soon after the revelation of the bust, me and the university were awarded an honor offered by the Regional Government of Lambayeque. Like K'anamarka, the other day the newspapers and TVs stamped the presentation of the statue of the Lord of Sipan. I'm kind of tired of talking about it, but research work is almost always an activity that happens away from the knowledge of the general public and the spotlight of the press. However, when this work is recognized the feeling of gratitude goes beyond the limits of the body and the smile. I am honored to promote the tourism of a region and, in a way, to make known the places where I present the faces. The joy of the conquest is only tainted, when distance myself from the great friends that I am getting on these trips. I met the staff of Arc-Team in 2011, it is an archaeological research company that works mostly with free software. My first contact was through a post about photogrammetry, that is, the technique of scanning a 3D object using photographs. Although not so distant, that year I knew little about 3D scanning, 3D printing, reconstruction of CT scans and even, almost nothing about forensic facial reconstruction. I started almost parallel studies of photogrammetry and facial reconstruction and, thanks to the good relationship I developed with the Arc-Team staff, I was able to put these two fields together in a very nice project, the reconstruction of the face of the Taung Child in 2012. This project was a partnership between Arc-Tem, myself, the University of Padova and the NGO Antrocom. We barely imagined future ramifications of all this. Encouraged by the technical repercussion of this first attempt, I began to outline a new project, this time, having the archaeologist Moacir Elias Santos in the team. 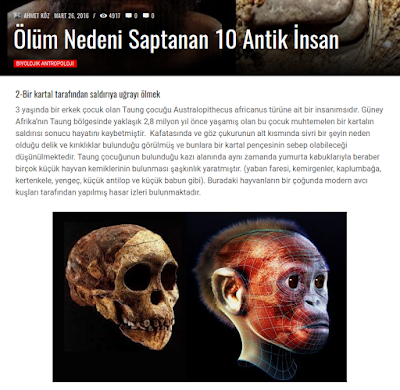 Together with him and supported by the Egyptian Museum and Rosicrucian, we organized the first exhibition of facial reconstruction applied to human evolution, called Faces of Evolution, which was inaugurated in 2013. Inspired by this exhibition, the Arc-Team and the Museum of Anthropology of the University of Padova started a new venture, an exhibition focused on the human face and our ancestors of evolution. Your name: FACCE - i molti volti della storia umana. While the Brazilian exhibition was composed of 11 posters and replicas of reconstructions, the Italian exhibition would have 27 facial reconstructions, 5 of them historical and 22 evolutionary, as well as other environments that would touch the various facets of a face, around the world, At different times and in different philosophical approaches. Still at the end of 2013 I was in charge of reconstructing the face of St. Anthony of Padua. 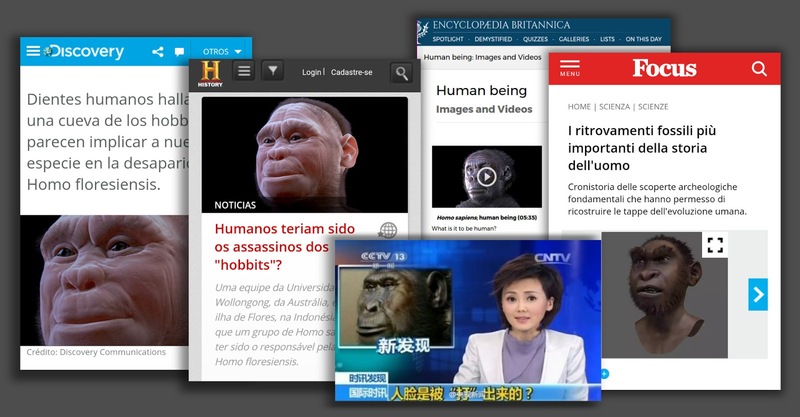 This reconstruction marked the whole year of 2014, since the work was news on the main TV channels in Brazil and Italy, even extrapolating the limits of those being published in 18 languages! The FACCE show was finally inaugurated in early 2015, and in the face of its success, it was extended until the end of that year. In 2016, using the same material from this show, with the addition of a new hominid, Homo naledi, Facce da Evoluzione exhibition was auctioned in Genoa. Now, in 2017, I decided to make a survey, about the direct and indirect repercussion of this work, which began in 2012 and little by little took our technique to the four corners of the world. 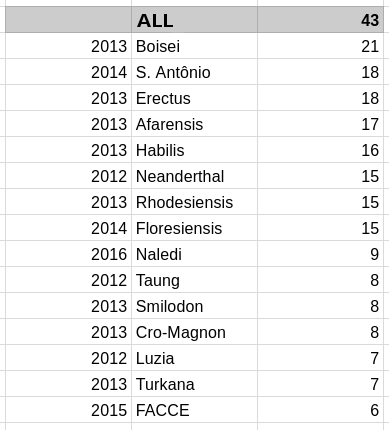 For this, I created a clipping with all the reports involving the reconstructions I worked with, as well as the languages in which they were published. Why languages? Because it would be simply impossible to organize all this based on the countries or media. By focusing on the languages, we attest to how far the work has come. The work that had more occurrences in different languages was the reconstruction of Paranthropus boisei, carried out in 2013, 21 in total. Then, the already mentioned face of Santo Antonio and Homo erectus, both with 18 occurrences. In the table above we can see the other works and their numbers. The total was 43 different languages, which together total 5.26 billion speakers, meaning a considerable part of the world can read the news stories with our work! The languages with the highest occurrence were English and Portuguese, which appeared in 15 citations of the 15 selected terms. A little behind appears the Spanish (14), followed Italian (14), Russian (11) and Turkish (9). The most impressive, was to attest that important sites such as the BBC, Discovery Channel, History Channel, National Geographic, Scientific American, Science News, Wired, RAI, Globo TV, Encyclopedia Britannica, The Washington Post, Science News and Homo naledi and Australopithecus sediba own discoverer, Dr. Lee Berger, shared stories by way of illustration of reconstructions made for the exhibits covered in this post. The Arc-Team group always has the mantra to share the results of the work, so all reconstruction images were donated to the Wikimedia Commons under free license. That was one of the main factors for all this repercussion. 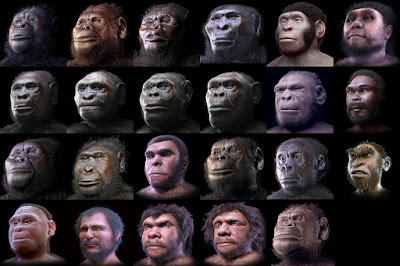 The work does not stop here, there is much to come and many fruits will emerge as a result of research in the field of facial reconstruction of modern men and ancestors of human evolution. The knowledge that I gained in the facial approach of these fossils has helped me even in one of the areas that I work professionally, the planning of facial surgeries, as well as accident monitoring tools. It seems unlikely that such separate areas have points in common, but they are more numerous than you might think. As a member of this fantastic team I can only say that we have achieved our main goal, which was to make our work accessible and to make it free so that as many people could use them. May the next come!